One of Maine’s most popular tourist attractions is Walker’s Point, the summer home of former President George Bush (but you already knew that, didn’t you?). Even when I passed through the neighborhood late last March, I was astonished by the constant stream of traffic coming and going from the scenic turnout looking out to the Bush estate. Once a popular spot for fishermen, the rocky mini-peninsula was purchased by a group of land developers in the late 19th century who called their development Point Vesuvius. 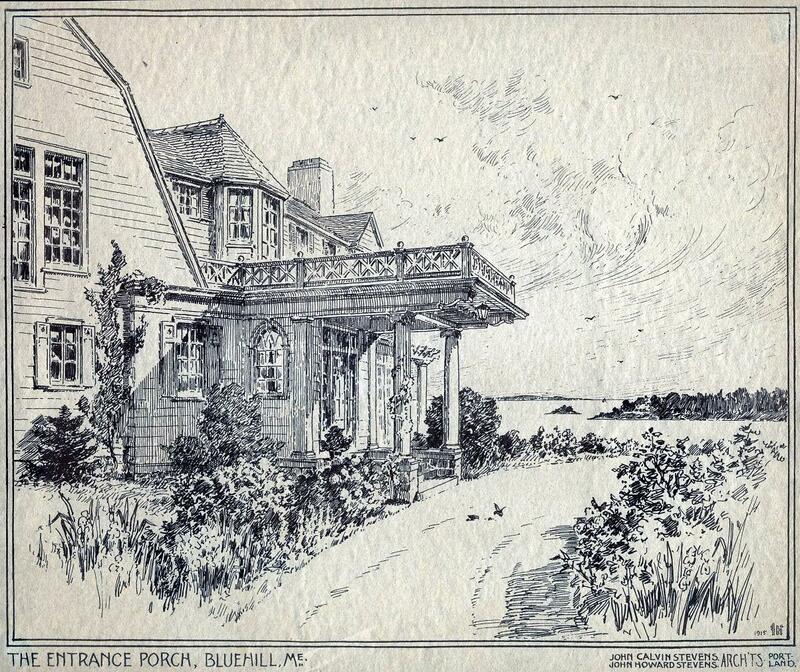 From them George Herbert Walker, Bush I’s namesake and grandfather, purchased the property, and in 1904 hired the Boston architectural firm of Chapman & Frazer to build a substantial summer cottage near the end of the point. The new house was christened ‘Rock Ledge’ (betcha thought it was always called Walker’s Point). 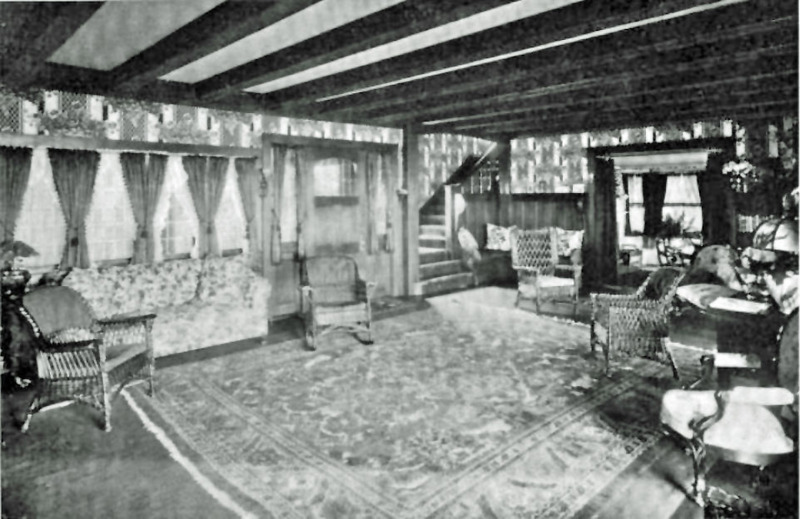 These photos of the house when it was one year old are from an article by Barr Ferree in the short lived ‘American Homes & Gardens’ magazine, July 1905 issue, and show the house as it originally appeared, before alterations to the service wing, and changes in the windows. …and not much appears to have changed. 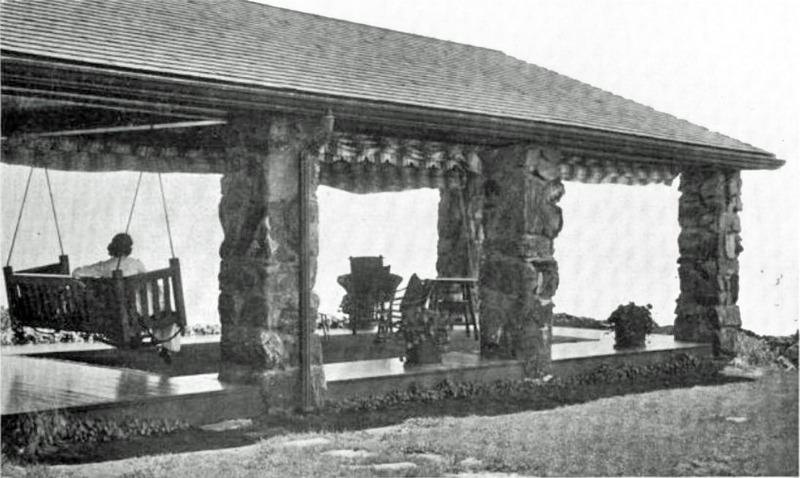 The superb porch has long since been enclosed, and the stone columns covered with trellis. I seem to remember reading somewhere once that this is Barbara Bush’s favorite room, and has several times been damaged by hurricanes. Even in this badly scanned illustration (when will Google Books develop quality control in their rush to digitize? When??? ), the pleasure of the old open porch, with its swing, striped awnings and shining floor, practically at the edge of the sea, is obvious. 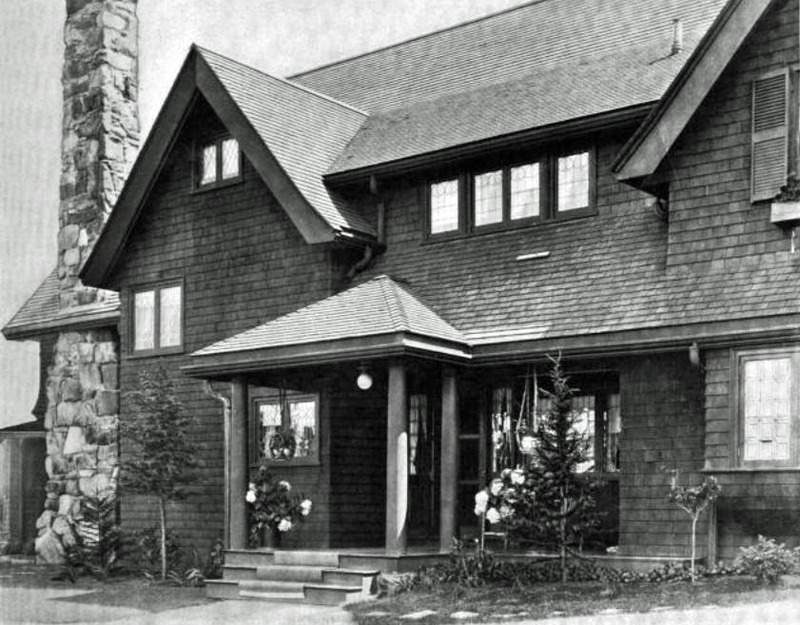 Chapman & Frazer designed a second house on the property a few years later for Walker’s son, which has long since been demolished. For the complete text of the article in ‘American Homes & Gardens’, click HERE. Conversation up here at the beginning of the summer centered on real estate. 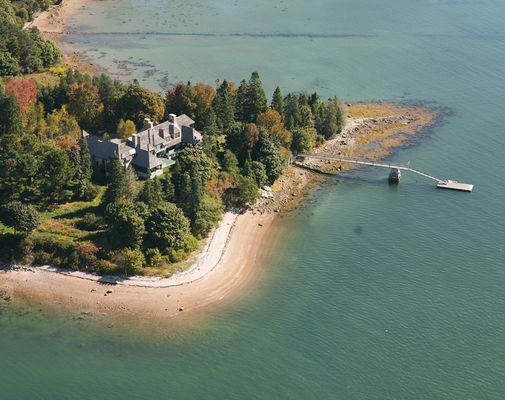 Indian Head, a large and not particularly attractive new-ish house in Northeast Harbor, sold for $12,500,000, the first time a residential property in Maine sold for over $10,000,000 (not that many owners and realtors haven’t tried to hit that mark over the last decade). Hardly Hamptons prices, but enough to give hope to many whose expensive properties had been languishing on the market. As the summer ended, conversation had turned to another sort of real estate. private docks. Docks have always been a feature of the waterfront here—first in the 18th and 19th centuries, as transportation, fishing, and trading hubs. 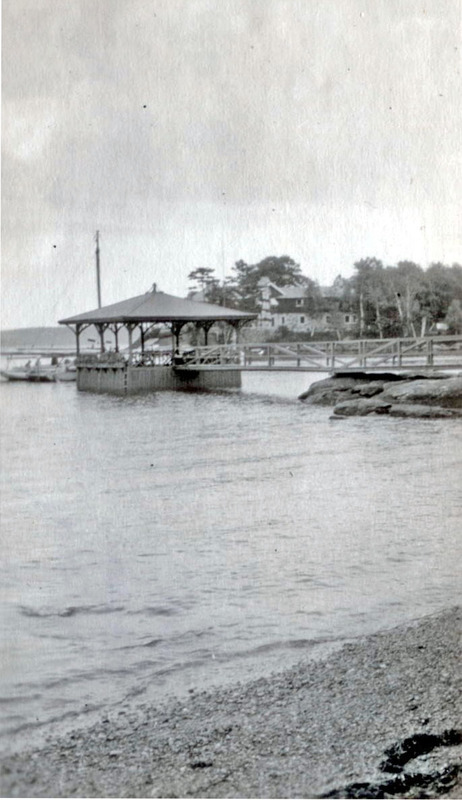 By the end of the 19th century, private docks became prevalent, as the shoreline was increasingly colonized by summer folk, and the ocean and harbors became pleasure grounds. As to real estate prices, conventional wisdom is that a less expensive, but no less grand, property near Indian Head has failed to sell for lack of a dock. For many years, one thought very little one way or the other about docks. Utilitarian and often picturesque, they seemed a natural part of the landscape. In recent years, as environmental concerns have become paramount, and the shoreline ever more divided and built upon, and planning regulations fortunately ever more stringent, they have become a subject of controversy, and even rancor, pitting neighbor against neighbor. The nadir was reached a few weeks ago when our local paper published a long letter by a writer publicly and nastily reacting to his new neighbor’s proposed 300 foot dock on a stretch of shore that does not have particularly deep anchorage, and where there traditionally have not been piers. 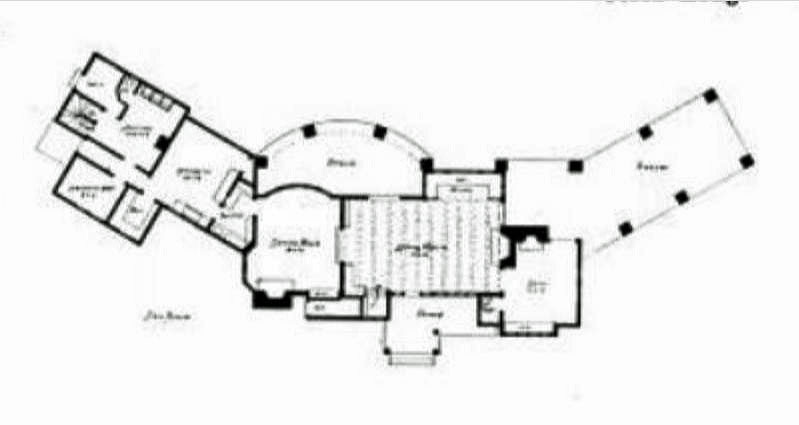 After being at several parties around the county where these discussions had come up—-every town around here seems to have its newly arrived gazillionaire who wants to extend his property far into the ocean itself, with resultant backlash, I started thinking about a few grand docks from the past, built in a simpler era when such a structure was considered an ornament to an estate. 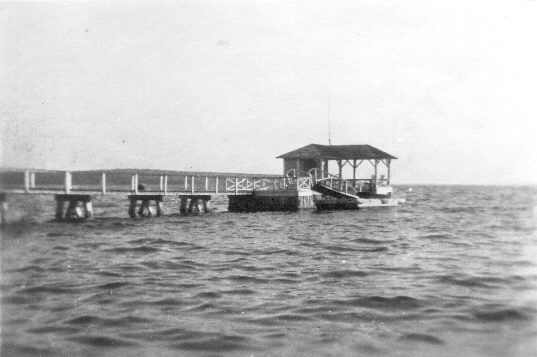 The first dock was built around 1903 by H.B. Slaven on ‘Borderland, on the eastern shore of our town. Slaven, a successful pharmacist in San Francisco, had joined his brother Moses in the construction business, and together they invented a dredging machine that was essential in the building of the Panama Canal. After retiring from that business at the end of the 1880’s, he purchased and operated the Chase Granite company, whose quarries occupied over a mile of shorefront. 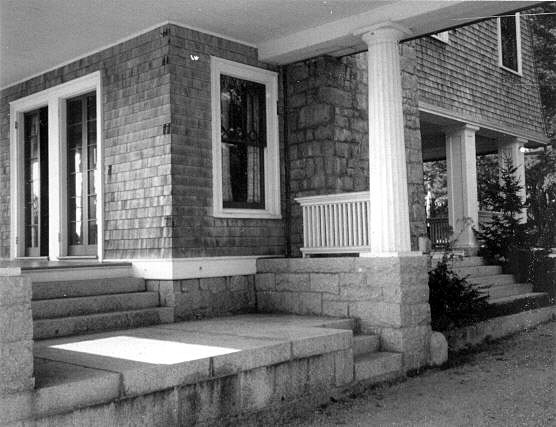 By the early 20th century, concrete was replacing granite as a construction material, and Slaven began developing the property as a summer estate, with extensive outbuildings and services. 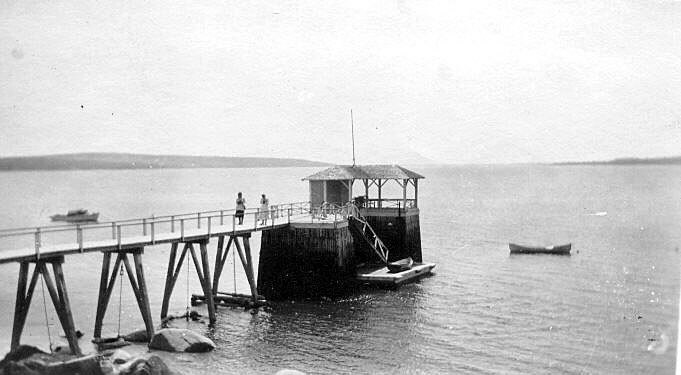 Although there existed a long granite wharf, extending far into the bay, for the quarries, Slaven had a wooden pier with pavilion constructed. 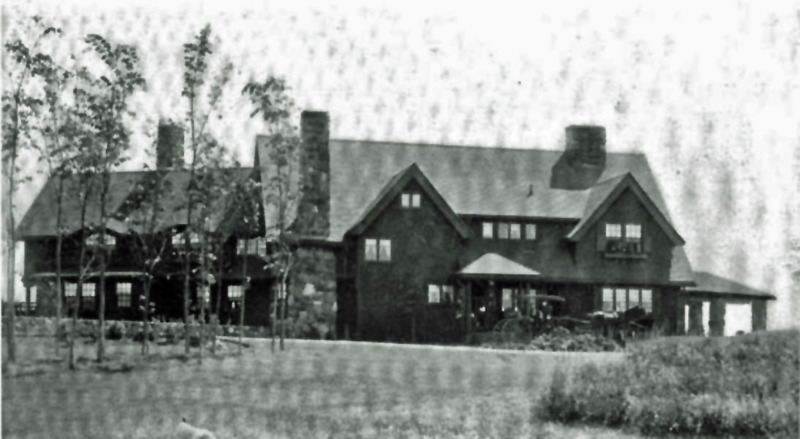 As for Borderland itself, Slaven died in 1904, the year after construction, and it was eventually inherited by his daughter Nila, who chose to live in a smaller house on the property, and rented it to a roster of tenants of strong literary leanings—first E.B. White in the 1930’s, before he bought his farm in neighboring Brooklin, then A.J. Cronin, who wrote Keys to the Kingdom there in the 1940’s. 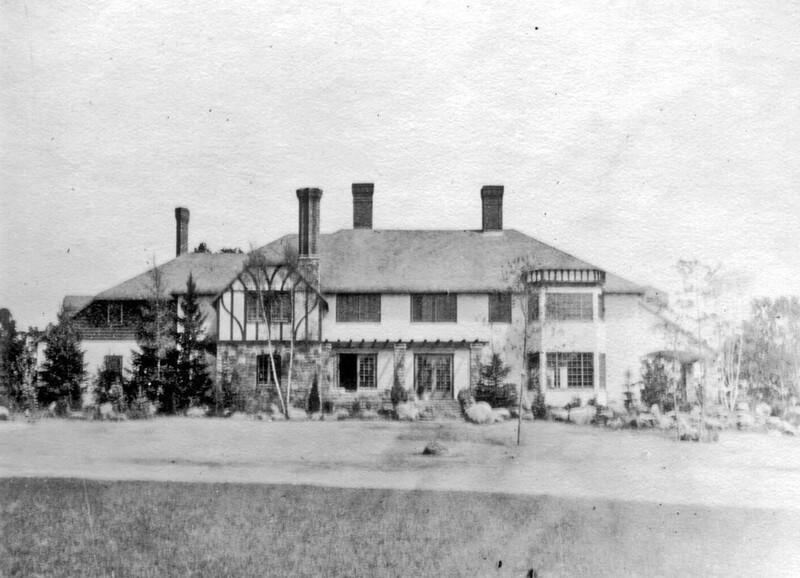 The main house was razed in the 1960’s. 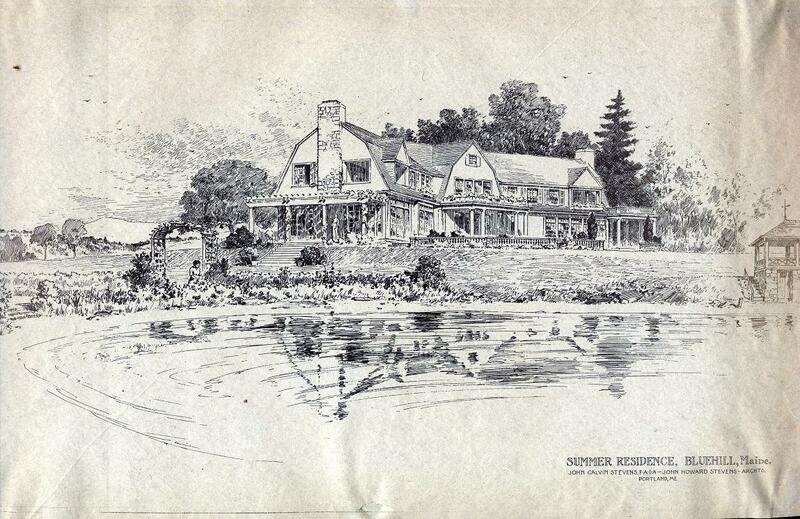 Palmer originally had John Calvin Stevens design a Colonial Revival cottage for the property in 1910, but did not actually build a main house for the estate until 1921. 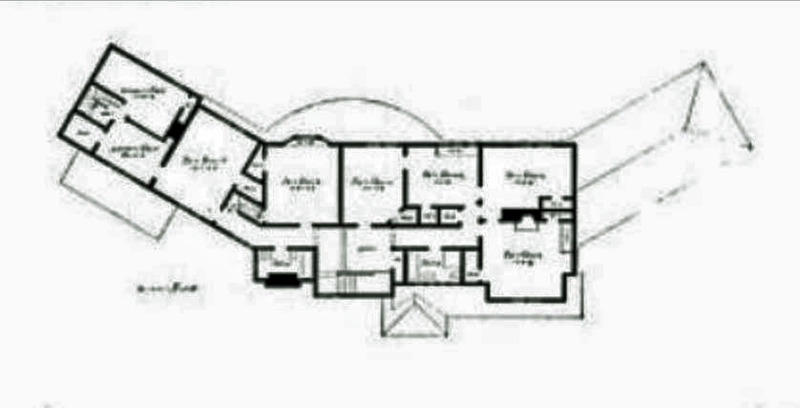 The Stevens design was abandoned in favor of a Tudor design, by an architect whose name has been lost with time. That house was demolished in the early 1950’s. And over in fashionable Bar Harbor, Mrs. 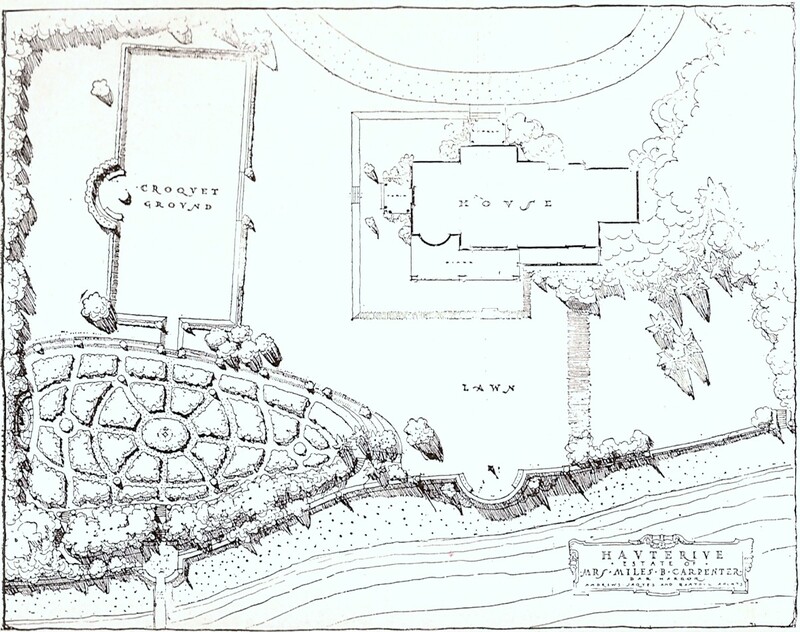 Miles Carpenter, a stylish New York socialite, purchased an estate overlooking Frenchman’s Bay, and promptly had the Boston firm of Andrews, Jaques, & Rantoul enlarge it and lay out extensive gardens as a background for entertaining. 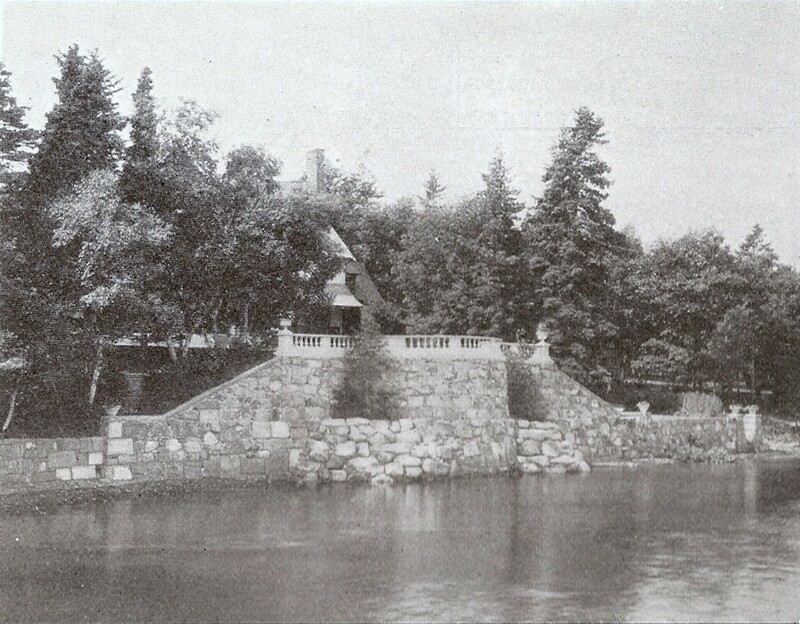 An elaborate seawall was built as part of the garden scheme. at each end of the wall was an opening. At the south end, the opening gave access to the dock, which was formed an extension of the garden axes, from the croquet lawn, down steps through the sunken garden, to a lower terrace, and through a pair of gates whose posts were cast in Persian style by E.E. Soderholtz . 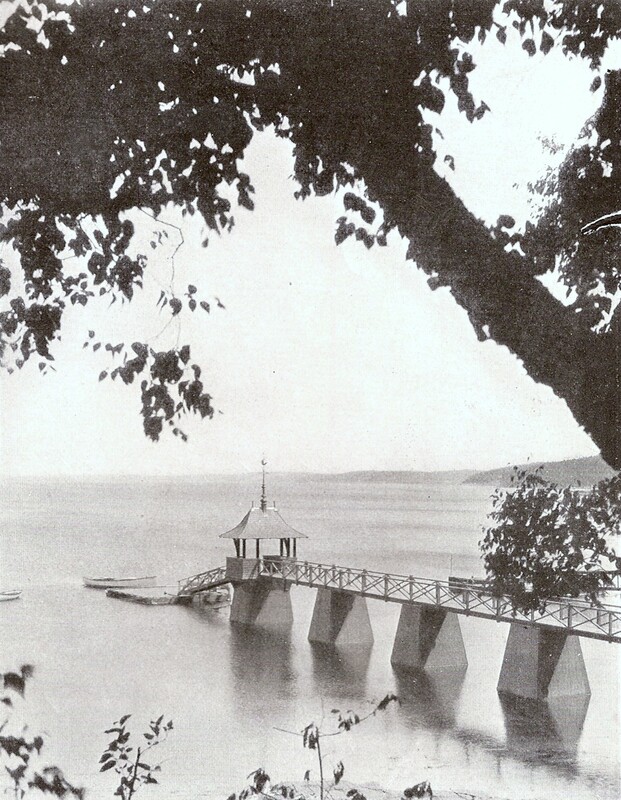 At the end of the long pier was an elegant pavilion in French Medieval style. 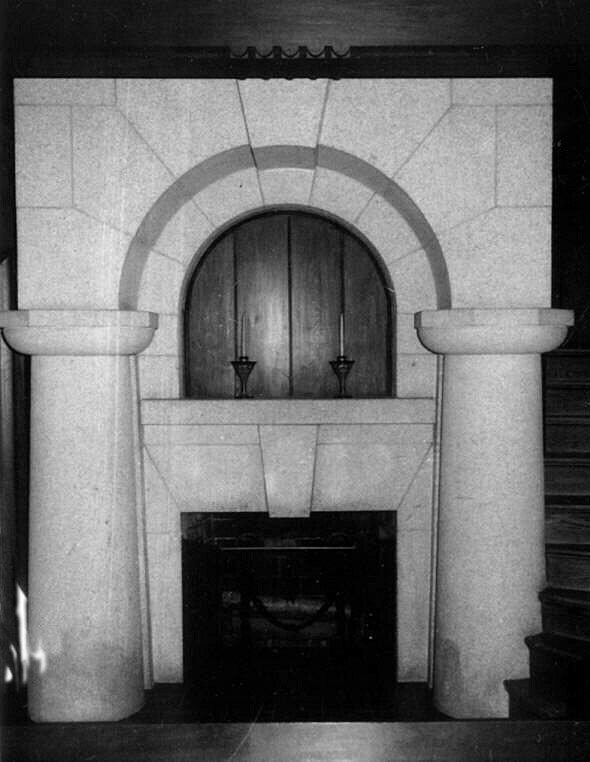 Hauterive was inherited by Mrs. Carpenter’s daughter, Agnes Miles Carpenter, who continued her mother’s stylish ways (many of her Paris gowns survive in the Costume institute at the Metropolitan Museum)–she remodeled the gardens (future post), and had society photographer Baron deMeyer redecorate the dining room in sleek red lacquered moderne style in the 1930’s, a stark contrast to her mother’s Louis XVI drawing room across the hall, furnished a generation earlier by Lord Duveen. 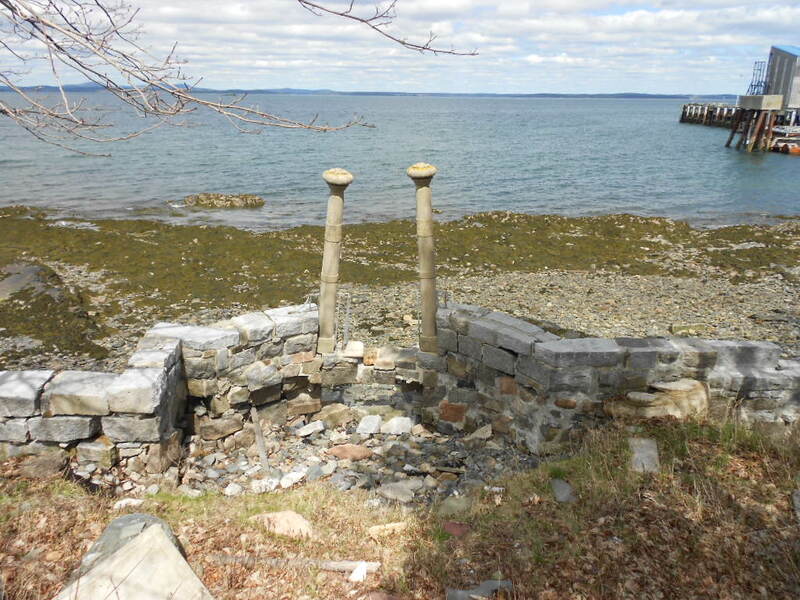 In 1953, despite protests from the Miss Carpenter and other neighbors, including Lady Harry Oakes to the immediate south, the abandoned Stotesbury cottage was purchased by the Canadian National Railroad as site for a new terminal for its Bluenose Ferry service to Nova Scotia. The view from Miss Carpenter’s terrace, once so peaceful with her elegant dock, was never the same. 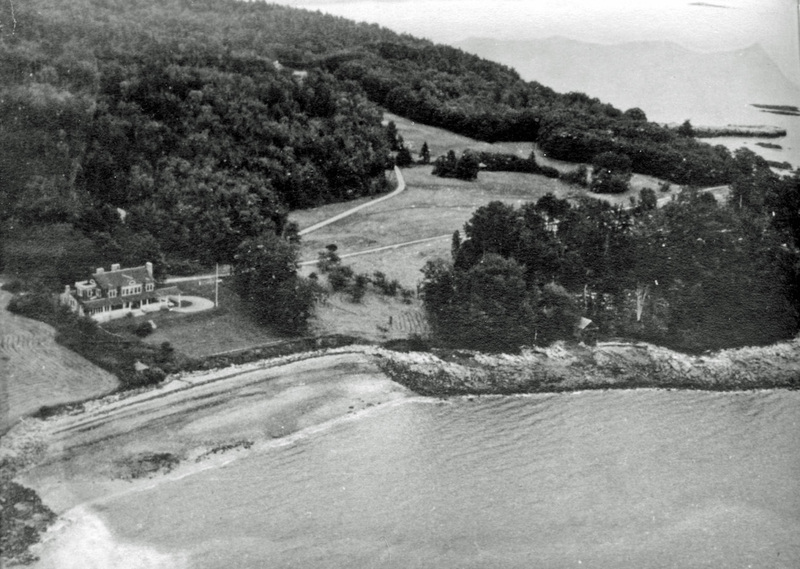 After Miss Carpenter’s death in the early 60’s, Hauterive itself was demolished. 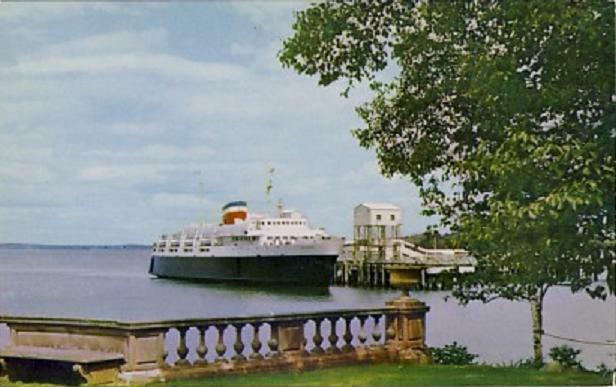 For many years after, the grounds were kept in good condition, and the iron gates to the pier remained. 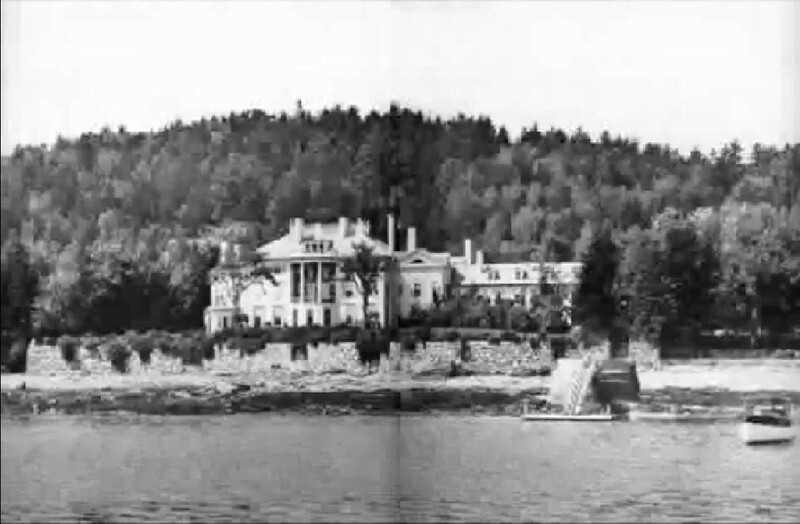 In recent years the property has become a Holiday Inn (where the Obama family stayed on their visit to Maine last year), the grounds are in ruins, and returning ghosts would be hard put to find their way to the long vanished dock.